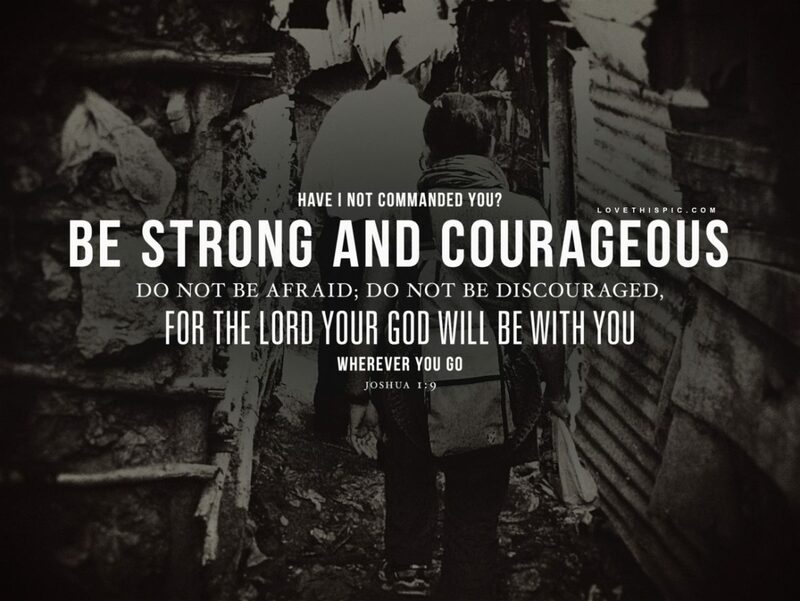 Be strong and very courageous in Me, says the LORD. Do not let the enemy intimidate you or push you back. Stand! Boldly face the opposition. Confront the enemy. Do not back down or cower. Stare him down. For he is not bigger than Me, and I Am with you in the fray. I cannot be hindered or overrun by the enemy, and neither can you. I can never be defeated, and I call you undefeatable. Arise to your feet as a ready trained warrior and know that there is no enemy bigger than I AM, and I have Made you the victor well in advance of the conflict. The fight has already been called in your favor. So just stand your ground, fully clad in Me and prepare for battle, says the LORD. You do not ever have to run and hide, for as you submit fully onto Me, and resist the enemy, He will flee from you, every time. He cannot resist you, for My Spirit that indwells you is greater than the adversary. Trust that with Me you will break his weapons in two. With Me you will prevail against every Goliath sized giant and even an army of them. For I Am the LORD of hosts, and My angelic host that is with you will not ever be outnumbered or overpowered. I have placed a wall of fire about you and My glory is in the midst of you, and you will not be invaded or plundered or spoiled. You will prevail against the enemy, push him back, defeat him and spoil his camp as you war a good warfare and set at liberty the captives that he has held in prison, and possess the land of the enemy, says the LORD. Halleluja! Greater is He who is in me than he who is in the world! Who can battle with the Lord? Nobody I say! Wow..Powerful Word!!!. It is blessing and a privilege to be in God’s army. Amen Lord ~ I stand firm and ready!! The words are fir me too Lord!